A summary of approvals, recalls, warnings and alerts. A recall of dozens of products containing peanut butter. The FDA is advising consumers not to eat products that contain peanut butter, such as crackers and cookies, until it determines which are connected to Peanut Corp. of America, the suspected source of a salmonella outbreak that has sickened at least 501 people. Peanut Corp. supplies peanut butter and peanut butter paste in bulk. An advisory that improper use of topical anesthetics can lead to life-threatening side effects like irregular heartbeat, breathing problems, coma, seizures and deaths. Improper use includes applying too much, applying to a large area of skin, applying to irritated skin, or covering the skin with a wrap or heating pad after applying. Providers who recommend topical anesthetic to patients should discuss potential side effects with patients, including what to do if they occur. A recall of lot # 90219 of hydromorphone HCl 2 mg tablets after a report of an oversized tablet, which could increase the risk of respiratory depression, low blood pressure and sedation. The pain management tablets, packaged in 100-count bottles, have an “E” on one side and a “2” on the other. A class I recall of Sun Med's Greenline/D MacIntosh No. 3 Laryngoscope Blades, because a piece of the acrylic light tube that runs along the laryngoscope blade may break off during a procedure. A Class I recall of all sizes of the cranial implant kit distributed from Nov. 5, 2007-Oct. 23, 2008, because they may not be sterile. Physicians who used these kits should follow-up with patients for six months after surgery, to make sure they don't have infections. A Class I recall of lot #UD30654 of Healon D, an ophthalmic viscosurgical device, due to at least 66 reports of inflammation after eye surgery. Tests of the lot showed heightened levels of endotoxin. Milnacipran HCl (Savella), a serotonin norepinephrine reuptake inhibitor to treat fibromyalgia in adults. Side effects may include nausea, constipation, hot flush, sweating, vomiting, palpitations, increased heart rate, dry mouth and hypertension. Degarelix, a new injectable drug to treat advanced prostate cancer by suppressing testosterone. The cobas TaqScreen MPX Test, the first to screen for the presence of two divergent types of HIV in donated blood plasma and tissue. Plerixafor (Mozobil), to be used with granulocyte-colony stimulating factor (G-CSF) to increase the number of blood stem cells for patients with multiple myeloma or non-Hodgkin's lymphomas who need bone marrow transplants. Side effects may include diarrhea, nausea, fatigue and dizziness. Rufinamide (Banzel) as an adjunctive treatment for seizures associated with Lennox-Gastaut syndrome. Side effects may include headache, dizziness, fatigue, drowsiness, gait disturbance, double-vision, nausea and vomiting. 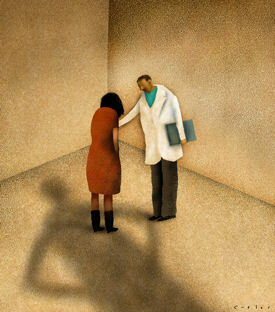 Patients should be monitored for depression, suicidal thoughts or behavior, and unusual changes in mood or behavior. Imatinib mesylate (Gleevec), to stop cancer from growing after surgical removal of a gastrointestinal stromal tumor. The drug is already approved for other uses. Side effects could include diarrhea, fatigue, nausea, swelling of the feet and decreased red blood cell counts. Gadofosveset trisodium (Vasovist Injection), the first contrast imaging agent for magnetic resonance angiography, which helps provide a clearer image. As with all products containing gadolinium, it includes a boxed warning about the risk of nephrogenic systemic fibrosis. Premarin (conjugated estrogens) to treat dyspareunia in post-menopausal women. The drug is already approved to treat menopause symptoms like hot flashes and night sweats. 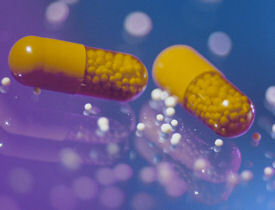 The FDA also approved a twice-weekly dosing regimen as an alternative to the daily dose. Boostrix, a tetanus/diphtheria/acellular pertussis vaccine, for use in adults ages 19 to 64. Fospropofol disodium (Lusedra) injection for anesthesia sedation in adult patients. RiaSTAP, an orphan drug to treat bleeding in patients with congenital fibrinogen deficiency.